Kirsti Lonka is Professor of Educational Psychology at University of Helsinki, Finland (2005-). On growingmind.fi you may see all her projects and also people working with her. She is Director of Research Group of Educational Psychology. Kirsti is also Extraordinary Professor, Optentia Research Focus Area, North-West University, Vanderbiljpark, South Africa (2016-2019) http://news.nwu.ac.za/prof-kirsti-lonka-trailing-digital-native-within-educational-context and Advisory Board Member of Graduate Institute of Digital Learning and Education, National Taiwan University of Science and Technology (NTUST 2015-). She is also Science Rector of Kymenlaakso Summer University. Kirsti is a founding member of Teachers’ Academy of University of Helsinki https://www.helsinki.fi/en/university/teachers-academy since 2013 and also their first President (2013-2014). During 2015-2017 she was the Associate Editor of Elsevier journal Learning and Instruction (Impact factor 3.8 in 2017). 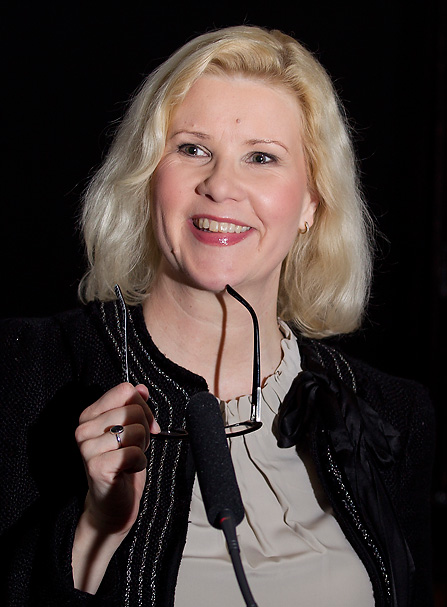 Kirsti Lonka is a popular keynote speaker around the world. She has published more than hundred refereed articles, conference papers and book chapters. She has also published plenty of text books and popular writings. The languages of her publications are Finnish, English, and Swedish (also translated in Estonian and Spanish). Her specialties are higher education, medical education, teacher education, and postgraduate education (PhD students). In the area of academic writing, her work has focused around conceptions of writing, note taking, process writing, portfolios and writing across curriculum (writing as a learning tool). At the moment, she is working on innovations in higher education and engaging learning environments (ELE). Principal Investigator of the Project “Mind the Gap – between digital natives and educational practices” (Funded by the Mind Program of Academy of Finland (2013-2106), blogs.helsinki.fi/mindthegap The previous projects were 3Spaces http://www.3tilaa.fi/in-english/ (2015-2017) as well as Sustainable Education Design http://www.educationdesign.fi (TEKES, BEAM Project, 2015-2017) and Engaging Working Culture http://www.helsinki.fi/engaging-working-culture (TEKES TUTL Project 2015-2017). Previous major project was PI of WP4 Task 1.1. (Learning Environments) in RYM Indoor Environment project (2011-2015) See outcomes: rym.fi. Previously Kirsti Lonka was the Vice Dean of Faculty of Behavioural Sciences (2011-2013). Before that, Kirsti Lonka was Foreign Adjunct Professor at the Department of LIME, Karolinska Institutet, Sweden 2007-2011. She was also J.H. Bijtel Visiting Professor, University of Groningen, The Netherlands (2007-2008). She was working as professor of medical education at the Department of LIME (Learning, Informatics. Management and Ethics), Karolinska Institutet in 2001-2005. In 1996-2001 she worked as the Director of Development and Research Centre, Faculty of Medicine, University of Helsinki, Finland. During that time the medical program became problem-based. Kirsti Lonka finished her Master of Arts Degree in psychology and started her research career as a Junior Lecturer, Department of Psychology, University of Helsinki in 1986. She did her PhD course work at Ontario Institute for Studies in Education (OISE, University of Toronto, Canada) in 1988-1989. Her two daughters were born 1991 and 1995. Kirsti Lonka finished her PhD at the Department of Psychology, University of Helsinki, in 1997.